Charming staircases lead you to the rooms and suites in the Elizabethan manor house and beyond the walled garden in our award-winning spa lie our stunning spa suites. From our fabulous over-sized contemporary spa suites with roof terraces to charming period suites and elegant, individually decorated rooms, there is something to suit all tastes. Each feature room is rather different with fabulous new bathrooms. 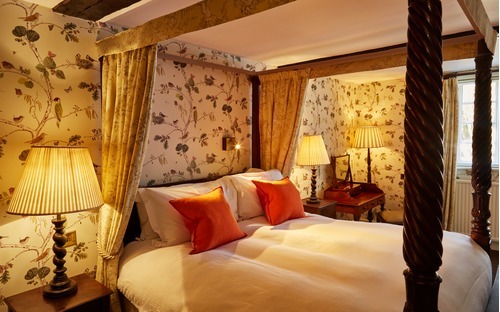 Every room has its own unique characteristics like stunning views, over-sized roll-top baths or Tudor oak-panelling. 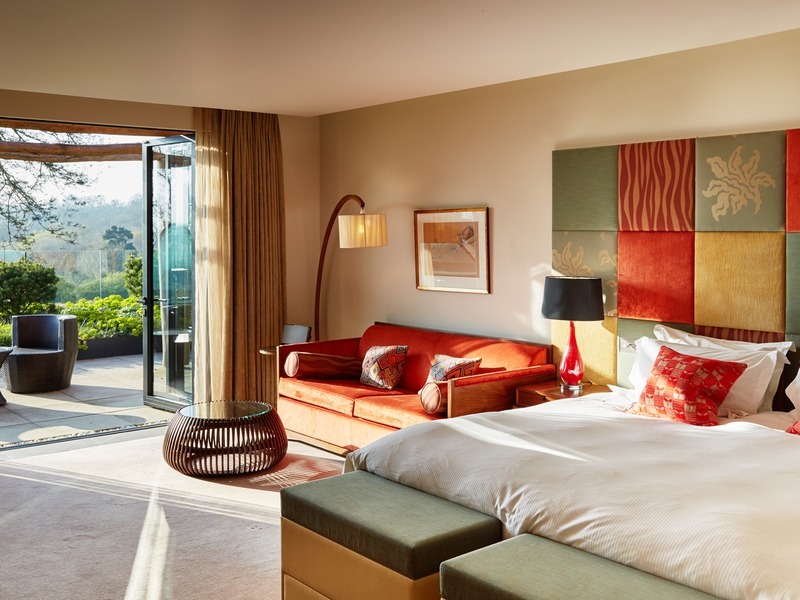 These contemporary junior suites sit above our spa, just a moments walk from the main house, have a spacious open-plan bedroom and lounge with a roof terrace and exceptional views over Cuckfield Park. 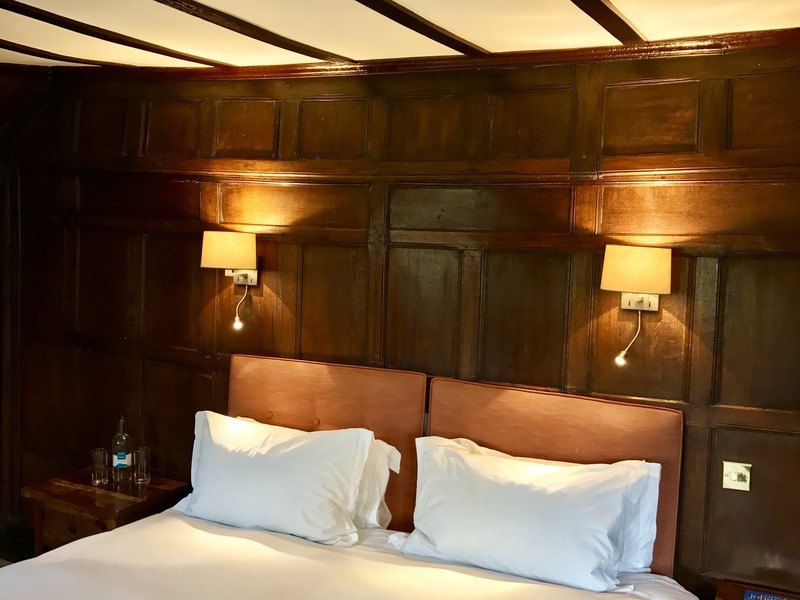 Located in the oldest part of the house, this oak-panelled suite is filled with Tudor charm and has its own separate seating area. 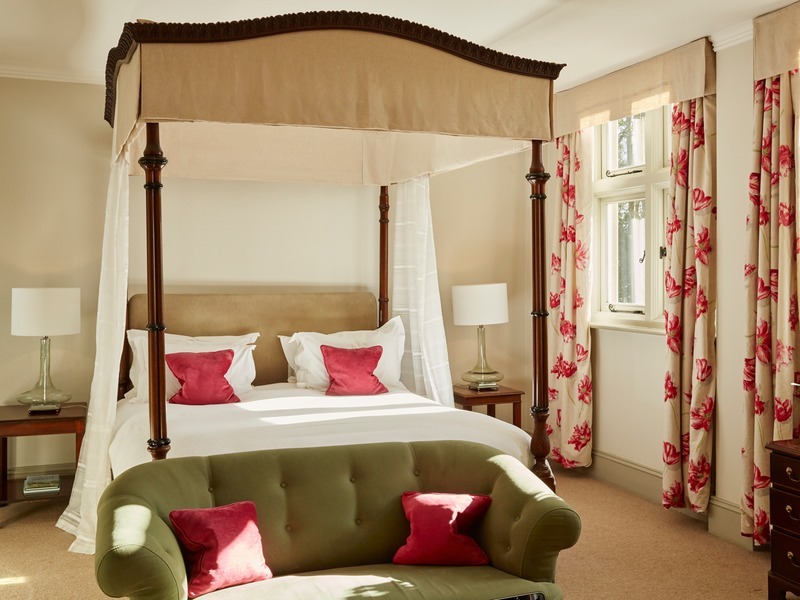 Our Sussex rooms are located in the oldest part of the Manor House; three have traditional four-poster beds which add to their character. 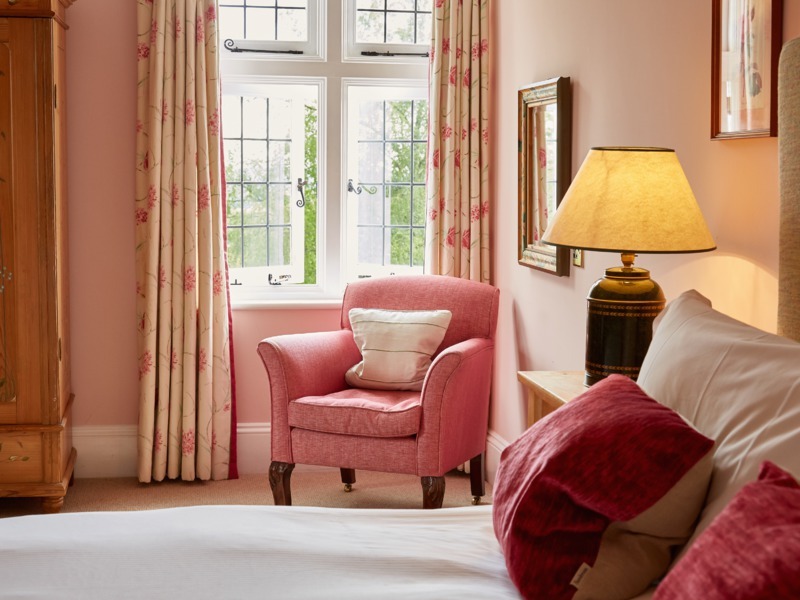 Our pretty Cuckfield rooms with king-size beds are located in the Garden Wing with its views across the garden towards the South Downs National Park. 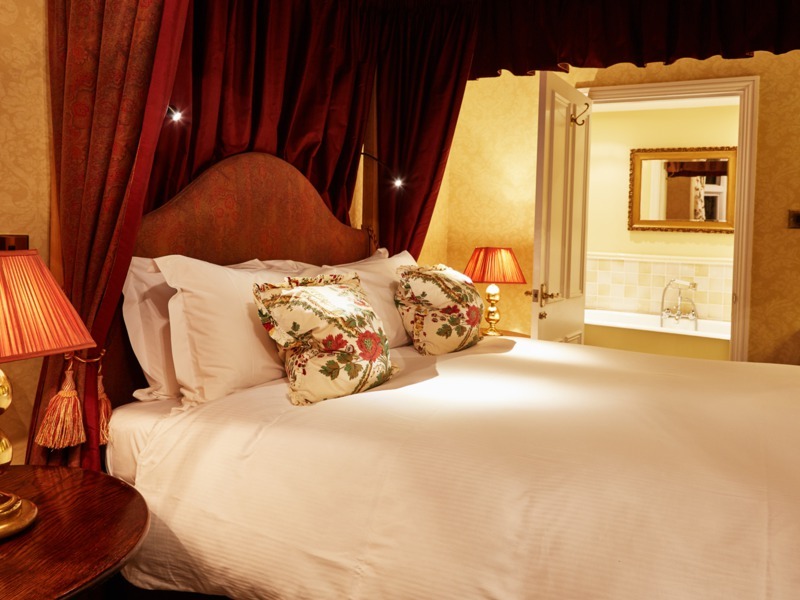 Compact and very comfortable, our Cosy rooms are individually furnished and each has its own charm and character. 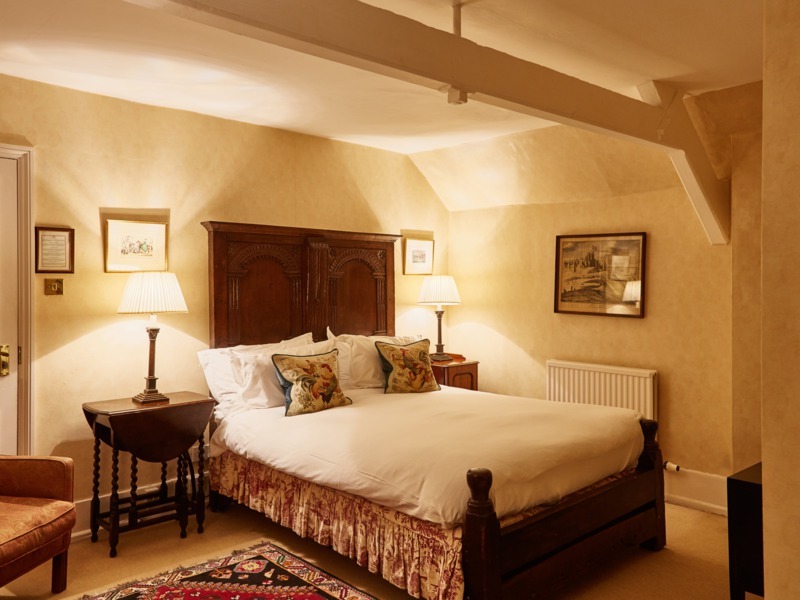 The rooms are luxuriously decorated with a unique style and an abundance of charm and are named after members of the two families who have owned Ockenden Manor since 1520.